Save the Date! Family-friendly events you won't want to miss. On the hunt for an out of the box experience with your friends or date night? 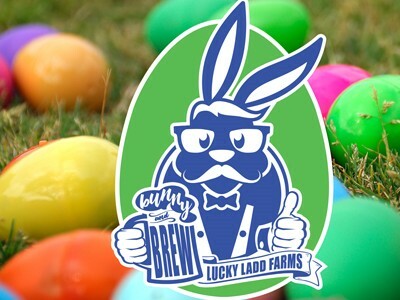 Time to find your inner child and get hopping to Lucky Ladd Farms for Nashville's famous Bunny and Brew - Adult Egg Hunt. Over $3,500 in cash and prizes! 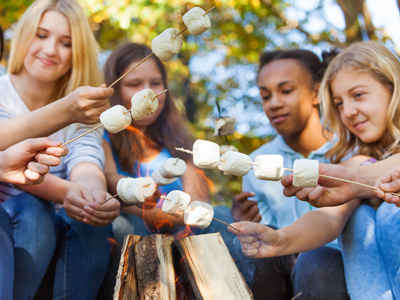 Plus live entertainment, fun lawn games, pre-hunt lite bites and all-you-can-drink brew and coke products. Get your tickets before they're gone! Put some spring in your step during our breakfast with the Easter Bunny. 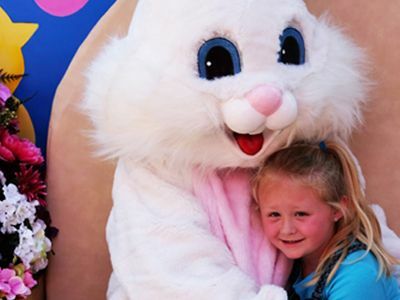 This VIP breakfast includes a scrumptious breakfast buffet, Easter Bunny photo ops, a visit with some of the Farm’s favorite baby animal ambassadors, craft station and souvenir gift for each child. It’s a fun way to start your day before hopping along to the Easter Festival celebrations at Lucky Ladd Farms. Learn More... Register Now, Limited Seating! 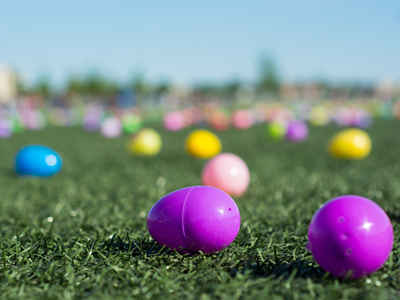 It’s one of the most Egg-citing events of the year! Join the Easter Bunny, as he gets things hopping around the Farm. This annual family tradition features fun games, activities, crafts, baby farm animals and non-stop egg hunts with prize packs for the kids! Plus, journey through the story of Jelly Bean the Unbreakable Egg! It’s a fun way to celebrate the spring season. Get your hard hats on and gear up for some big time fun with some oversized toys! A special construction site will be ready for operation. 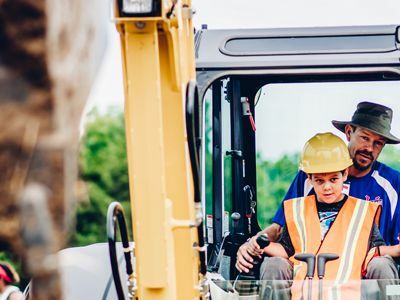 Kids can help Digger Dan operate a real excavator, move sand, climb on a bulldozer and explore other farm and construction equipment. Plus fun activity centers to practice skills of trade, life size jenga games and giant lincoln log building sets. Crawl on down to the farm for some summertime family fun and enjoy a FREE slice of refreshing watermelon. Cool off in the Splash Zone featuring our Splash Pad, Bubble Blast Pool, inflatable water slides and more. Test your skills and win prizes in the Watermelon Crawl, Seed Spitting and Watermelon Eating Contests. 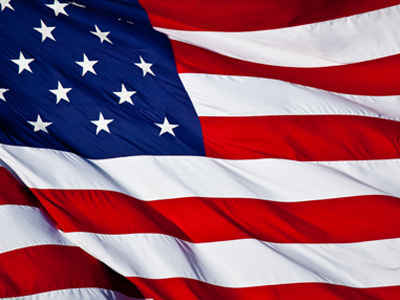 An exciting patriotic event that honors our own local heroes! Kids of all ages will enjoy live-action demonstrations, Policeman vs. Fireman Tug-a-War competitions, emergency equipment displays and more! Lucky Ladd Farms proudly salutes our Hometown Hero's by offering FREE general admission to Tennessee fireman, sheriff and policeman, active/retired military and their immediate family during our Community Heroes Celebration. Immediate family is defined as a spouse and dependents living in the same household. Must present valid ID. Mention "Community Hero" at Lucky Ladd Farms Admissions to redeem this discount. Kids join us for fun in the sun as we celebrate "Back to School" with a "Splash Bash." Kids can cool off on the inflatable water slides, splash pad and bubble blast. Water balloon toss, games and more! Plus all the regular fun activities of the farm will be open to enjoy too. While you're here grab a scoop of our yummy hand-dipped Blue Bell ice cream. Late summer brings super sweet fun for all! We'll be serving up everybody's seasonal favorite - fresh roasted sweet corn on the cob dripping with warm butter and covered in your favorite flavored seasoning. 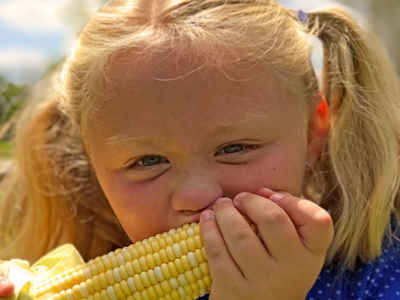 Test your skills and win prizes in the Corn Eating, Corn Shucking and Sweet Corn Snapshot Competitions. 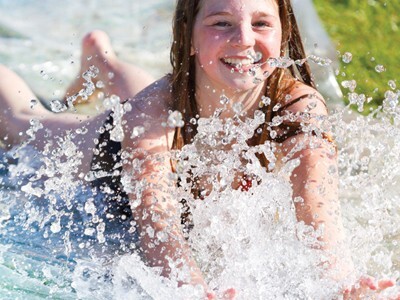 Kids can cool off on the inflatable water slides, splash pad and bubble blast. Fresh picked sweet corn available for purchase - great for grilling up for your next summertime party. 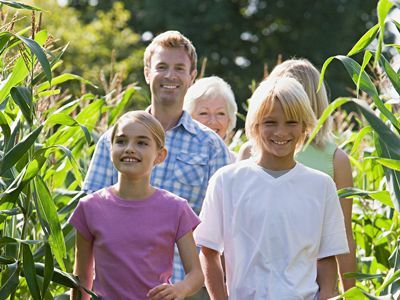 Nashville, Franklin, Murfreesboro and beyond... our mind bending corn maze will keep you guessing! Each year an exciting new twist is added to make this popular fall attraction even more challenging. It's Middle Tennessee's favorite place to get lost! It's pumpkin picking time! 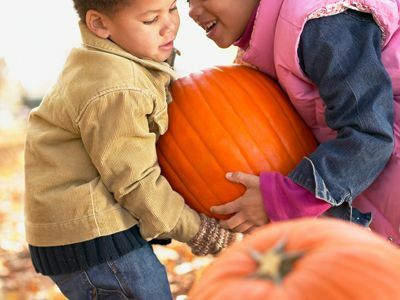 Middle Tennessee's favorite fall family tradition, make your way down to the Lucky Ladd Farms pumpkin patch to pick your perfect pumpkin. Middle Tennessee area Boy and Girl Scouts and their families are invited to join us for Scouts Day at the Farm. All Scouting organizations will assist Lucky Ladd Farms in a community service project. Lucky Ladd Farms will ask each Group to bring at least one non-perishable food item per person to Scout Day that will later be delivered to Second Harvest Food Bank of Middle Tennessee.